"No sweety, they are just some characters shown in movies,TV shows, cartoons etc." When I was young I always used to think that unicorns are real BUT THEY ARE NOT!!! and surprisingly I always wanted one because they are really pretty. For example: there's a unicorn shown in Harry Potter and the Sorcerous Stone. That unicorn was kind of beautiful. Whenever I used to see a unicorn in a movie or TV show, I always used to wonder "do they exist in the world or any other planet"
Do you guys know that a unicorn is a mythical creature and is strong, wild and feirce and is IMPOSSIBLE to be tammed by a man. In the Bible, it is said that God has the strenght of a unicorn. Through out the stories of unicorns, its horn, its alicorn is said to have great medical powers. In Ctesias writings, the dust filled from the horn was supposed to protect against deadly diseases if mixed into a potion or if you drank from the horn, you would be protect from any poison (but that would be disgusting). 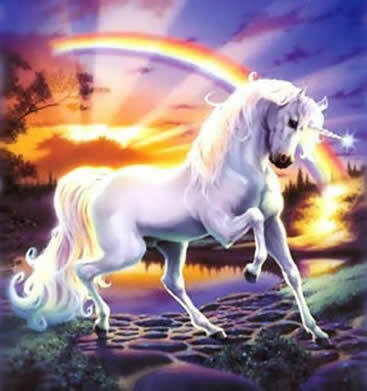 The white colouring on unicorns make a natural symbol for purity. The horn of the unicorn was the weapon of the faithful and also of Christ. 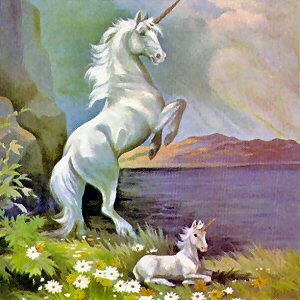 I wish unicorns existed because I really want to see them but they are really big and also kind of wild. Wouldn't you guys want to see a unicorn if they existed? Life Lesson: Never give up your dreams, you never know when they can come true. I commented on Jamie's blog. I love to be in a family. Its soooo great when everyones together and having fun. Everyone enjoys to be in a family. Don't you? My family is really fun one. Most of us live in different place but we all go to my Uncle's house and everyone gets together. One of our family can't come because their in Vancouver. Everyone wishes that they were here too. All the girls in the house are like upstairs and the guys are in basement playing Xbox (they dont get bored playing the same game again and again). There's this card game and its really fun to play. Its called "Pabi"(its an Indian game) We play it every time but only if there are a lot people but the fun part is that we made this rule that if a guy losses, a girl has to put some makeup on and if a girl, the guys have to make a moustache on her face. It was really funny when the guys had makeup on their face. We also took pictures of them. Its my mom's sister's anniversery on Saturday and we'r throwing a surprise party on her. I hope she likes it and in July its her daughter's wedding and I always forget the date of her wedding. One tme I even forgot her fiance's name (that's funny because I hadn't met for a long time or else everyones talking about her wedding). I am sooooooooooo happy to be in this fun, loving family. Life Lesson: Always have fun times with your family and never them. I commented on Emilie Vos's blog. I have to listen to songs so what site should I go to???? I guess I will go to youtube. Youtube is a great sight for listening songs,watching videos, movie trailers,TV shows and a lot of other stuff. People even use it to watch the funniest and the weirdest videos. ( Its fun watching funny videos). Do you guys know who discovered Youtube????? ?/ Hummmmmmmm.... There were three guys who made it and they were Steve Chen, Chad Hurley, and Jawed Karim(they were former employees of PayPal and Youtube was founded in February 2005. Thats really interesting and in these many years it just got soooooooo famous. Even my parents enjoy watching youtube. Youtube is like the most popular website for listening to songs or watching videos. But you gotta be carefulll when you comment because everyone in the world can see it so make sure you don't write anything mean or bad. Even if you are going to reply someone make sur you don't say anything wrong to them. Enjoy watching videos on youtube. Life Lesson: Be careful when you write a comment. Yummy, Delicious, Scrumptious, mouth watering, luscioius etc. Guess what it is????? It's PIZZA!!!!! Pizza is the most delicious thing I've ever tasted!!!!!!!! 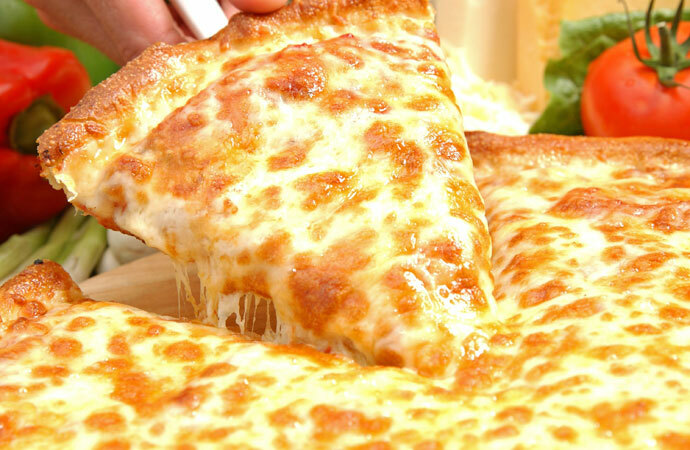 My mom always tells me not to eat pizza because it has a lot of cheese in it and thats what I most like about pizza. Do you guys know how pizza was made???? It's a really intersting story although its kind of short. According to the legend, in the early times, garlic was the only topping used for pizza(whao!!). However in 1889, King Umberto 1 and Queen Margharita were to visit Naples and Raffaele Esposito( a bar owner), though that it would unwise to serve the king and queen with only one topping on the pizza. Hence, he made a special pizza made with cheese, basil and tomtoes. These three colours are used to represent the colours on the flag of Italy. Raffaele was the first person to make this delicious pizza in the entire whole world. Now there are soooooooooo many pizzas. There's cheese, vegge, hawaiin, pepperoni, Ney York style pizza, grilled pizza, white pizza and Pizza Margharita etc. My favourite pizza is cheese but there's one problem and that is if you eat toooo much pizza you can get reallly FAT because pizza has a lot of cheese in it and cheese is fat. But I can't stop myself. People say I'm a little fat but I don't see it. I just love pizza!!!!!!! It's such a wonderful thing to eat. Don't you think????? Life Lesson: Eat what ever you want but you need to have a limit because you don't want to have an unhealthy body. Green is my favourite colour(its also my BFFs fav colour). Green is such a wonder ful colour that can be explained in many ways. The word Green is closely related to the Old English verb growan meaning "to grow". Sometimes it can describe someone who is inexperienced, jealouse or sick. 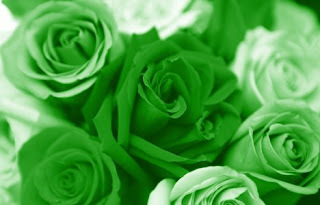 In some cultures, Green symbolizes hope and growth , while in others, it is associated with death, sickness or the devil. In many literatutres, green has been traditionally used to symbolize nature. It is said that someone who works well with plants has green fingers or a green thumb and the word greenhom refers to person who is inexperienced. Stories from the past further portray that it represents love and lust. Green is considered the traditional colour of Islam. The nature of green is restful. Like blue, time moves faster in green room. I just love the colour green. Its a really nice colour. Pandas only eat bamboo. They live in the world's most populous country (containin many people,inhabitants, having a large population). Pandas will extinct by people because they are destroying their habitat and taking their food which is bamboo!!!!!!!!!!! 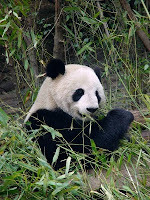 Most of the pandas live in Asia an dthe people in Asia eat a alot of bamboo and they are taking their food. 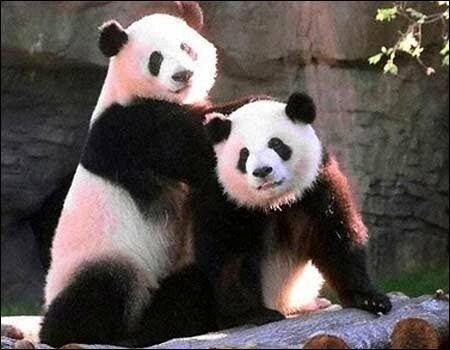 So, when pandas do get extinct, I will be really sad cause their really cute!!!!!!!! 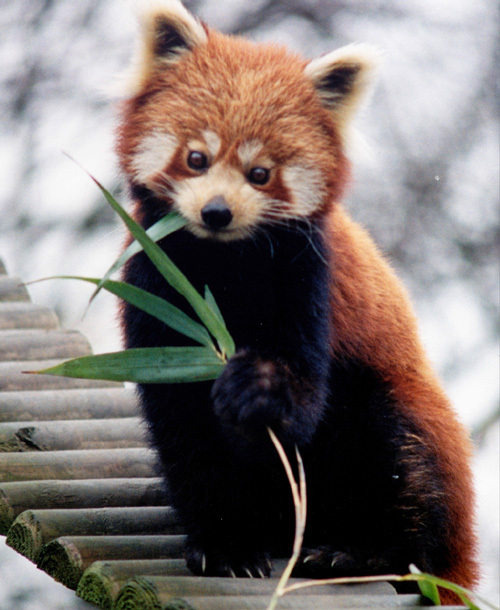 Red Panda in the zoo becase their reallllly cute. I hope that's good news. Let's all try to save the PANDAS!!!!!!!!!! Disney World!!!! Such a wonderful place to visit. 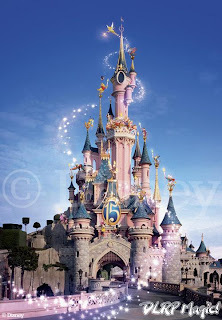 Disney Land is the cooooooooooooooooooolest place to visit but its only cool if you are old enough to go on the rides. I was quiet young when I went there. But it was still fun. I took this ide in which i kind of threw up (i know its disgusting hehe). It was a ride in which you sit in a strawberry and it spins and I loved this one. I took it like 2 or 3 times and trust me, I wasn't the only one to throw up. I kind of got mad when I couldn't go on the rollercoasters. I really wanted to go on them. 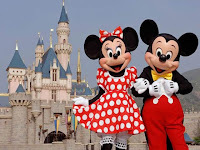 Me and my brother took pitures with Goofy, Mickey and Minnie Mouse (but I don't have the pictures now). It was a really nice trip. I sooooooooooo wanna go there again beacuise I think I can go on the rollercoaster ride (hehehahah). i like to read books that r mysterious but i dont read books that much and i also love watching movies especially scary and action movies and also funny.